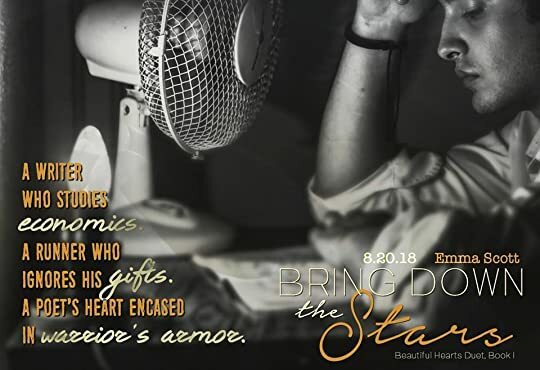 BRING DOWN THE STARS: is an emotional, full-length, angst-filled novel of unrequited love and is the first book in Author Emma Scotts’s ‘Beautiful Hearts’ duet. This is also a modern take on Cyrano de Bergerac. Spoken in ‘Dual Perspectives. Weston Turner & Autumn Caldwell. In the ’Prologue’ were introduced to a seven year old Weston as he learns first hand what it feels like to have your heart broken in two by a parent who drives away from his family, only leaving behind an abandoned sock in a drawer just like the family he turned his back on. This fuelled Weston at the age of twelve who still harbours so much anger and hurt within to write down his feelings in an essay titled ‘Sock boy’ which won him a full scholarship to an expensive school in Boston. 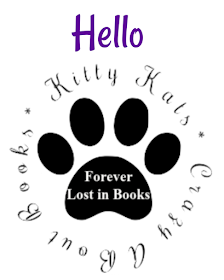 It’s here at this all boys academy where he meets Connor Drake, who takes Weston under his wings from bullies and Weston helps Connor with his school work. These two are as different as chalk and cheese, Connor comes from an affluent family, never having to worry about money. Whereas Weston was a scrappy street kid who had to claw his way to where he is today. But in reality Weston would do anything Connor asked of him. Throughout highschool life Weston broke every single track record which earned him a two year NCAA scholarship at Amherst university in Massachusetts. Straight away your thrown into a world of feels and that’s just in the freaking ‘Prologue’ BUT they just keep coming and coming. 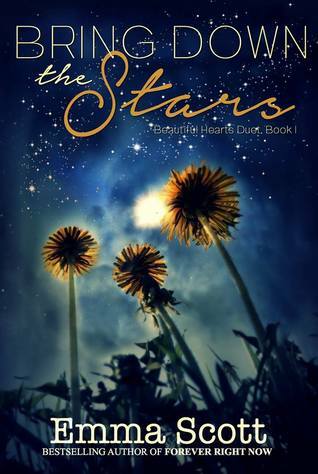 This book, this authors, words were just amazing, I loved these characters, this book compares to nothing I have ever read before, highly highly recommend!! Twenty-one year old Autumn is harbouring a broken heart after catching her boyfriend of two years cheating on her. Raised on a farm in Nebraska a true farm girl at heart but knows there’s more to life out there, she’s also attending the same campus as Weston and Connor. Connor catches her eye straight away, she’s under his spell as soon as his smile is aimed her way, she’s caught in his web. But that exact same day she’s kind of sort of not but is also attracted to another guy Weston, but it’s his way with words and his don't touch me attitude with his model good looks which pull her in. So yep it's been established that this is a love triangle of sorts with Weston's unrequited love for Autumn simmering in the background. And that is what brings all those stabby angsty feels to the core. One boy above the other will steal your heart and no matter what you'll root for him. Connor and Weston are as thick as thieves, Weston is Connors voice, which cements Autumn even more to Connors side, their friendship wasn't one sided though, these boys have a stronger bond than some brothers born in the same family. You’re the Halley’s Comet of girls. The kind that doesn’t come around but maybe once in a life. I don’t want to spend the rest of mine wondering what might’ve been if I hadn’t tried, one last time, to take you someplace where every man will stare at you, and wish they were me.